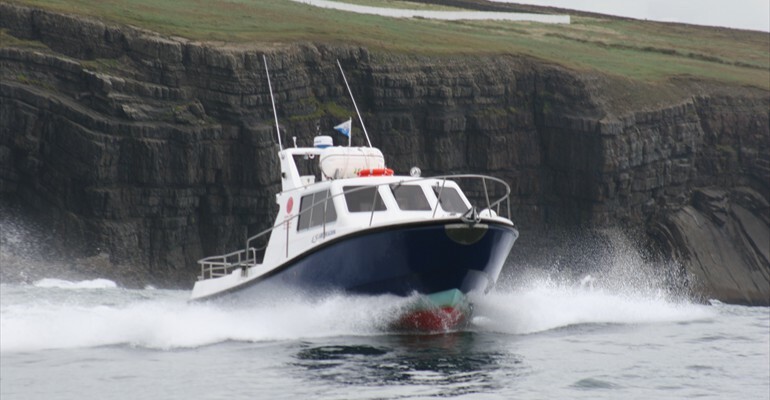 Carrigaholt Sea Angling Centre runs a 37 foot Lochin 366 called the Clare Dragoon. This boat was built for us and launched in the spring of 2005. 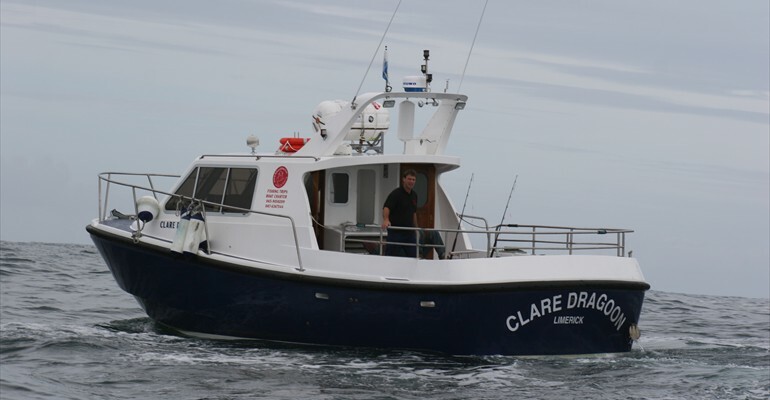 The Clare Dragoon has been designed and fitted out as a first class sea angling boat. 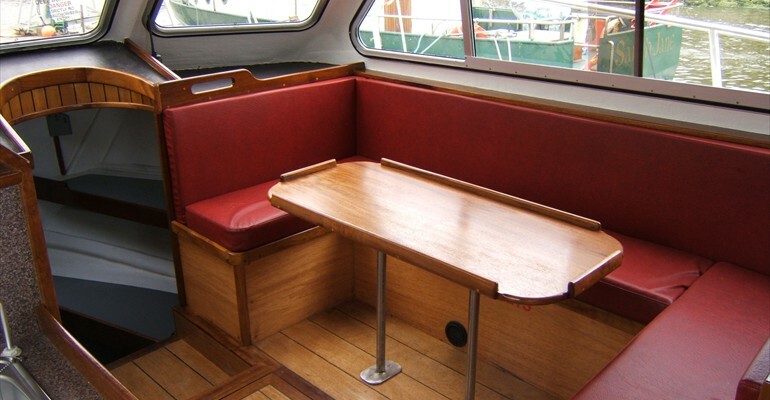 While it has a large wheelhouse with comfortable seating for 8 anglers, it also has a large open deck with lots of room for fishing. Fitted with a 660 H.P. Caterpillar engine the Clare Dragoon has a cruising speed of 15 knots and a top speed of 28 knots and will get you to the fishing grounds in speed and comfort. 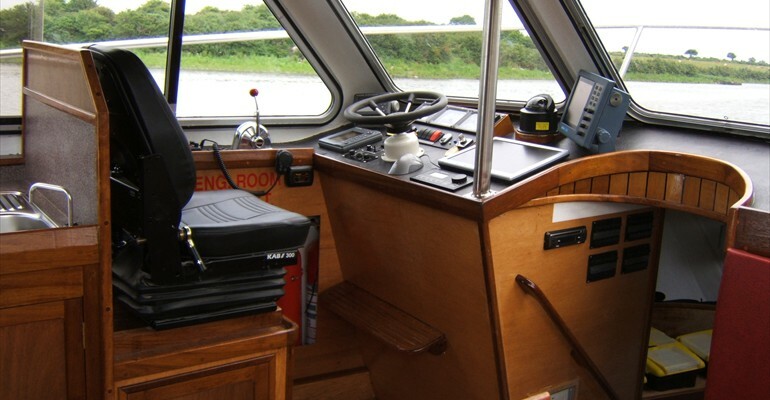 The Clare Dragoon has been equipped with a range of electronic equipment that includes a duel frequency fish finder, a chart plotter, G.P.S., V.H.F. radios and Radar. It has also been fitted with a hydraulic anchoring system to enable it to be quickly anchored in up to 150 mtrs of water. 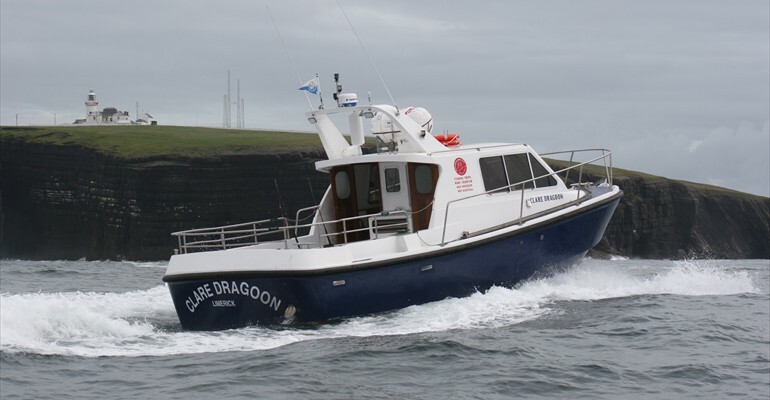 The fishing gear on the Clare Dragoon is top quality, comprising a full range of fishing rods and reels and these are available for hire on board. There is a set of 12 – 20lb rods fitted with Penn Fathom reels and loaded with 40lb braid and a set of 30lb rods with Penn Senator 113h reels loaded with 40lb mono. Also we have some 80lb class rods for those heavy fish and some light spinning rods. There is also a full store of fishing tackle to keep you supplied with the right fishing gear. 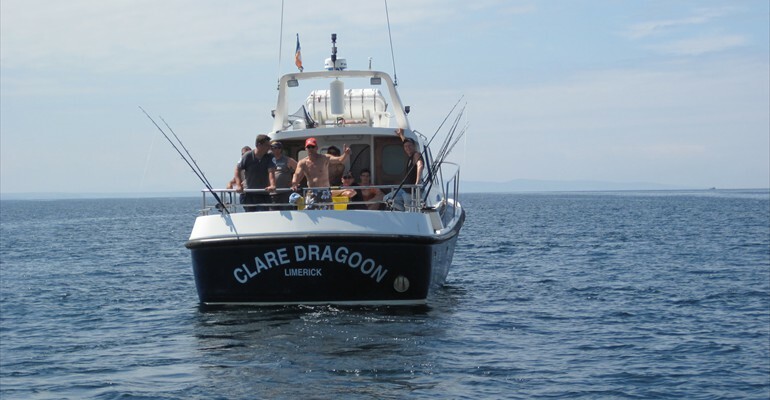 The Clare Dragoon is licensed to carry up to 12 persons up to 30 miles from the shore, is fully insured and is well equipped with safety gear. Skippered by Luke, the Clare Dragoon will provide you with great platform for really great fishing! Luke Aston has been going to sea on fishing boats all his life. Brought up in a fishing family he worked on the deck of commercial fishing boats from a young age during school holidays and full time from 1987. From 1995 to 2004 he was the skipper of a 60 foot boat and worked the waters of Irelands South and West coasts. Luke holds a Commercial Skippers licence for boats up to 24mtrs and has had this endorsed for work as a charter boat Skipper. He also has various safety tickets and as he takes safety very seriously he undertakes regular courses to update these. 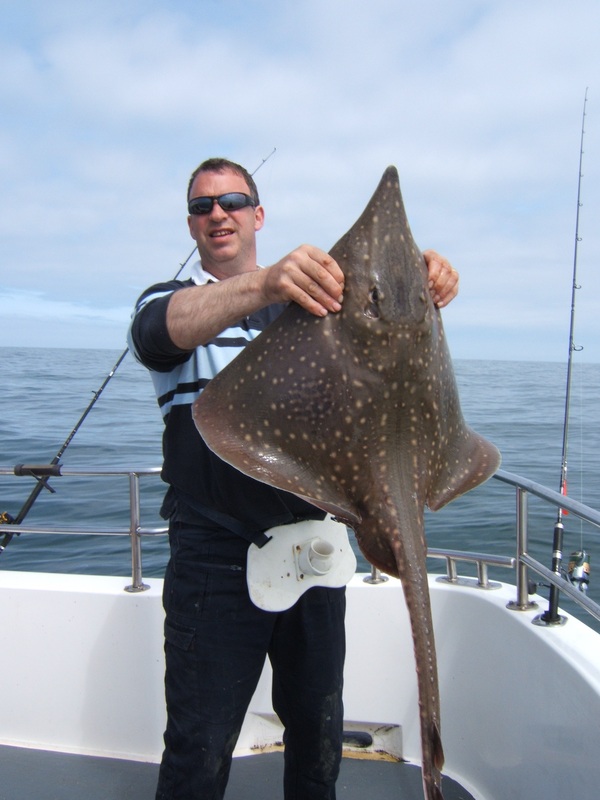 Luke’s experience both as a commercial skipper and now as a charter skipper gives him a great knowledge of the fishing grounds and with this knowledge he is able to get the best out of your fishing trip. Also a keen angler he is always available to offer advice or lend a helping hand.